El Toledo Coffee family farm has been evolutionin in many forms and ways. This year harvest, 2016 and 2017. Wasn't the exception of this evolution. One unspected and surprising resolt of a new list of products created on the farm. First of all. We aren't the first ones. But there are no too many other people doing this yet. 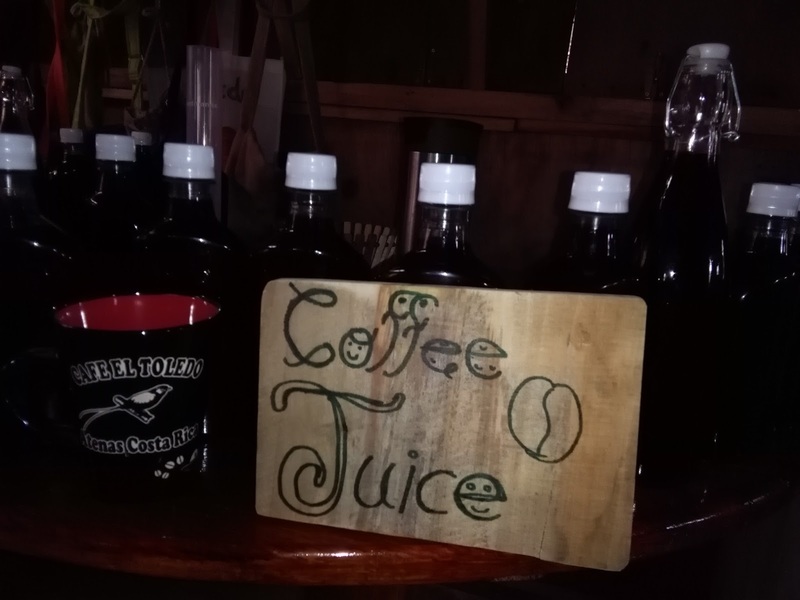 This year, after researching how good the coffee fruit is, and talking about why it has not been used, we decided to stop wasting it as most coffee farms do. Antioxidants are higher than blueberries. And there is a good taste of it. What do you think we can do with it? Please don't dout about giving us your ideas. 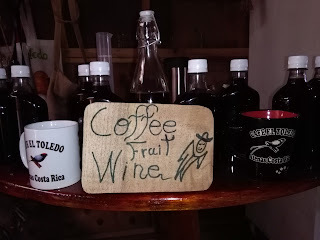 Well, we have coffee fruit wine. And a coffee fruit juice. We did not use the beans or coffee made to do this. 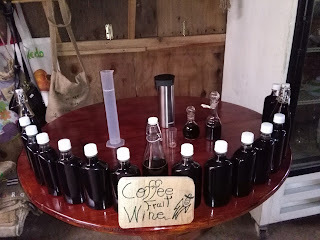 We just got the coffee fruits and process it to make our different recepies of wines. What kind of flavors? What porsentage of alcohol? What kind of wine? The only way to explain this is by trying it. This isn't part of the tour but you can ask if you will be interested in trying our products. 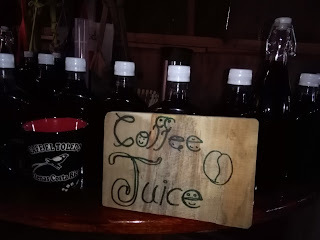 On the juice is like a very thick prune, or plum, juice with nicer coffee fruit flavors. It's different. But you can find those flavors in it. The wines are red dry. Red sweed, white dry and sweet. Strong and gently flavor combined. Some taste like port flavors but not as strong in alcohol! And even more flavors and descriptions. This year we have about 40 recepies. This is our research. Next year we would continue the best ones or more popular ones!! If you want to be part of our sponsors on this research don't hesitate to contact us. We want the world to stop wasting so much. Coffee beans are only about 25% of the production on the farm. So if farmers used 75 % on something instead of pollution. That would be better for everyone. And to be able to do this, we have first to stop using so much water to process our coffee. Isn't that a win-win situation? Coffee cherry wine. 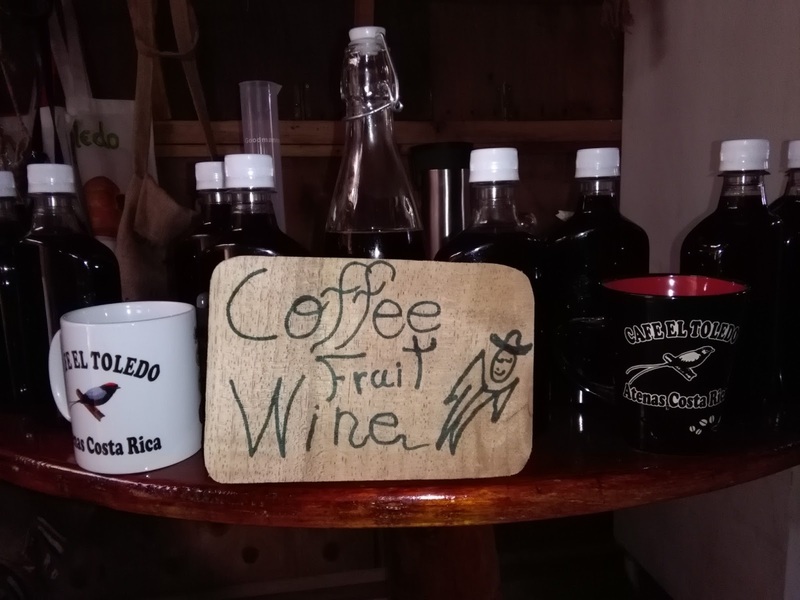 Or coffee fruit wine is been something people have tried before. But it has not been able to happen. The reasons behind the failed of trying that has been the ability to collect the fruit pulp from the coffee beans! This year 2016 we tried our first batch of it. How did we do it. We first got to stop the water use to rinse it away. Then with a coffee been press we were able to remove the coffee fruit pulp from the coffee beans. Resulta: 5000 litters of pulp a year. We haven't made it all. But this year we have tried 40 different recepies. A Total of about 200 gallons. As we are not wine makers, we've been learning. So like half of that was thrown away. 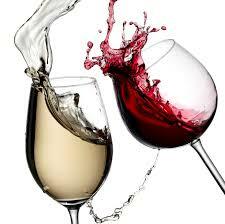 But 100 gallons of different types of wines is a huge good result for this first try! We have been trying new things and learning from books, internet, people. And with 6 months of reserch we started this project.